Posted on 10 August 2013. There was no court order nullifying the election of Mutolo Phiri and Misheck Mutelo as Chipata Central and Lukulu West Members of Parliament (MPs) respectively and the speculations in some media houses have turned out to be a hoax meant to throw the nomination process for the Malambo, Mulobezi and Petauke by-elections into chaos. The Supreme Court neither disqualified the candidature of MMD’s Dora Siliya and her UPND counterpart Maxwell Mwale nor stated that the two candidates were not eligible to re-contest their seats. And legal experts have explained that it was not legally permissible for the Judiciary to have announced the nullification of the Chipata and Lukulu constituencies without the petitions being heard by the High Court. Martha Mushipe of Mushipe and Associates said it was shocking that for the first time, it had to take a public relations officer to announce the nullification of a particular seat without involving the presiding Judges. 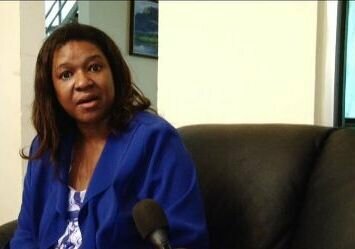 Ms Mushipe said it was strange that the Judiciary had nullified the two seats and barred Ms Siliya, Mr Mwale and Mr Mutelo without the said petition going through a court process saying only the courts had the mandate to determine such nullification. “It is really strange that that the Judiciary could publish a statement to nullify the election of the two MPs without the High Court or the Supreme Court hearing the petition. Every court action has to go through the court process but before the court could commence hearing, the judiciary has decided to nullify the seats. 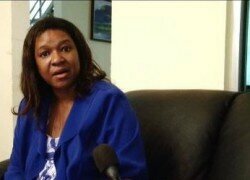 I am getting fearful that the executive has such a heavy hand on the judiciary,” Ms Mushipe said. On Wednesday, Patriotic Front (PF) losing candidate in the Chipata Central by-election Lameck Mangani in a dramatic turn of events petitioned the election of Mr Mutelo Phiri as Chipata Central MP. However, before the petition could be heard, it was announced through the media that the seat had been nullified. But sources at the Judiciary have disclosed that the petition case was only allocated to Supreme Court Judge Mulenga on Thursday and that the Judge had not even allocated the date for the commencement of the hearing. The sources told the Daily Nation that it was worrying that the Acting Chief Justice Lombe Chibesakunda had allowed an officer who did not hold a judicial office to issue a statement purporting to have annulled the election of Mr Phiri without the Judge to whom the case was allocated being informed. The source said Judge Mulenga was shocked that the Chipata seat had been nullified even before he could hear the petition saying it had become clear that the judicial system had completely collapsed. The source said constitutional democracy in Zambia had been destroyed by a clique of individuals who were determined to violate every law to sustain their political hegemony.In a statement to selected media houses on the night of Thursday, Judiciary public relations officer Terry Musonda said the provisions of the law is that the mandate to prepare reports at the conclusion of proceedings in an election petition lied with the High Court particularly the Judges who handle particular petitions. What is going on pa Zed?